Need help with registration? Not sure what to pack for the Symposium? Trying to finalize your travel plans? We have all the answers here. And if you have any questions once you arrive at the Symposium, just ask one of our many volunteers. 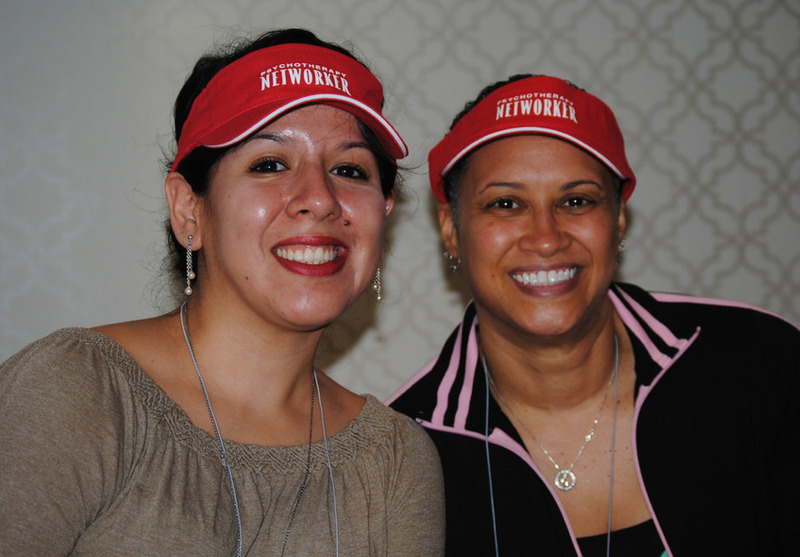 Easily identified by their red hats, our volunteers will help you with anything from finding the Exhibit Hall to how to change a workshop. Get all the information and tips you need to successfully register for Symposium 2019, click here. For more information about hotels, room shares, and other options, click here. Flying, driving, or taking the train to the Symposium? Click here for information to make your travel experience easier. Are you a full-time graduate student? Click here to find out about two scholarship opportunities! Want to volunteer? Click here for everything you need to know. Still have questions? Click here for additional Symposium information. For helpful hints once you arrive – from what to wear to how to change your workshops, click here. If you have any further questions regarding the Symposium, please contact the Symposium Registration Office by e-mailing us at symposium@amedcoemail.com or by calling (800) 379-1733.